Special discounts for schools, churches, music studios and nursing homes. Musicians and Band referrals for events, parties and special occasions. Protect Your Piano Before It's Too Late!! By installing Damp-Chaser Dehumidier and Humidistat on your piano prevents the above problems from affecting your piano. Futhermore, your piano will maintain its optimum tonal quality and increases its resale value. If you don't remember when your piano was last tuned or you just don't have time to keep track of the tunings done on your piano, you need not to worry! I will do the work for you. 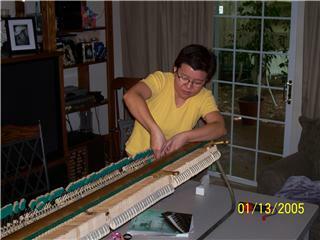 I keep a detail records of my clients' pianos, tunings, when they are tuned and types of repairs done. When it is time to have their piano tuned or serviced again, I call my clients to set up appointment with them, so they have one less thing to remember or worry about.